Visit JewelryMiu online at JewelryMiu.com which came from a desire to create an online gallery of sterling silver jewelry and cubic zirconia jewelry (CZ jewelry). JewelryMiu brings their customers a line of jewelry that is exquisite, yet affordable. JewelryMiu continues to purchase pieces from the finest jewelry manufacturers and designers all over the world to offer in their gallery and will constantly add new items as they are discovered. Check back often at 58Coupons.com for the latest JewelryMiu savings, JewelryMiu promotions and JewelryMiu coupons. Enjoy a $20 savings at JewelryMiu.com when spending $180 or more. Click link to start shopping. Save $10 on your order of $100 or more from jewelrymiu.com. Click code to view. Check out the new specials every month at JewelryMiu.com and get up to 15% off retail value! Click link to see what's on sale this month. Don't like what you bought? No worries! 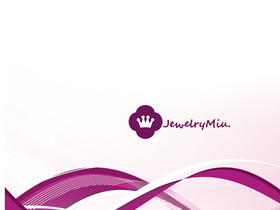 JewelryMiu offers free 30-day returns and exchanges.